The Federal Party was a party in the Federation of Rhodesia and Nyasaland. The name United Rhodesia Party and the acronym, URP, refer to two political parties in Southern Rhodesia. Sir Reginald Stephen Garfield Todd was a liberal Prime Minister of Southern Rhodesia from 1953 to 1958 and later became an opponent of white minority rule in Rhodesia. At the 1958 general election in Southern Rhodesia, the UFP won 17 of the 30 seats, despite receiving fewer votes than the Dominion Party, whilst the URP failed to win a seat. At the federal election in November 1958, the UFP won 46 of the 59 seats. The Dominion Party was a political party in the Federation of Rhodesia and Nyasaland, led by Winston Field. General elections in Northern Rhodesia in March 1959 saw the UFP win 13 of the 20 elected seats. In the August 1961 elections in Nyasaland the Malawi Congress Party won 22 seats (including two upper roll seats) and the UFP five (all from the upper roll). Nyasaland was a British Protectorate located in Africa that was established in 1907 when the former British Central Africa Protectorate changed its name. Between 1953 and 1963, Nyasaland was part of the Federation of Rhodesia and Nyasaland. After the Federation was dissolved, Nyasaland became independent from Britain on 6 July 1964 and was renamed Malawi. The Malawi Congress Party (MCP) is a political party in Malawi. It was formed as a successor party to the banned Nyasaland African Congress when the country, then known as Nyasaland, was under British rule. The MCP, under Hastings Banda, presided over Malawian independence in 1964, and from 1966 to 1993 was the only legal party in the country. It has continued to be a major force in the country since losing power. In the 2009 elections, it received approximately 30% of the national vote. The next federal elections in March 1962 were boycotted by all other parties, allowing the UFP to win 54 of the 57 seats. However, that was the end of the UFP's success. In the Northern Rhodesian general elections in September the UFP won the most seats, but the Northern Rhodesian African National Congress, which held the balance of power, went back on a secret pact its leader Harry Nkumbula had made with the UFP and allowed the United National Independence Party to form the government. General elections in Southern Rhodesia in December 1962 saw the UFP defeated by the new Rhodesian Front; the UFP winning 29 seats to the Front's 35. The Zambian African National Congress was a political party in Zambia. Harry Mwaanga Nkumbula was a Zambian nationalist leader involved in the movement for the independence of Northern Rhodesia, as Zambia was known until the end of British rule in 1964. He was born in the village of Maala in the Namwala district of Zambia's southern province. He was the youngest of three children and the only son. The United National Independence Party (UNIP) is a political party in Zambia. It governed the country from 1964 to 1991 under the socialist presidency of Kenneth Kaunda, and which was the sole legal party between 1973 and 1990. In April 1963, the party was split into four; the federal branch was rebranded as the Federal Party and continued to be led by Roy Welensky, whilst the territorial branches became the National Progressive Party in Northern Rhodesia, the Nyasaland Constitutional Party in Nyasaland and the Rhodesia National Party in Southern Rhodesia, where it was led by Edgar Whitehead. The federation was dissolved at the end of 1963. The National Progressive Party was a political party in Zambia led by John Roberts. 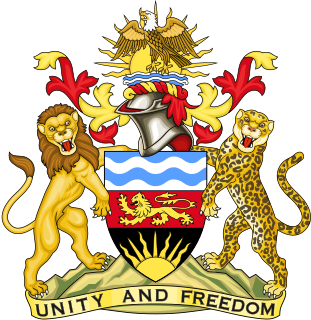 The Nyasaland Constitutional Party (NCP) was a political party in Malawi. Elections in Zambia take place within the framework of a multi-party democracy and a presidential system. The President and National Assembly are simultaneously elected for five-year terms. The Southern Rhodesia general election of 1962 took place on 14 December 1962. Voters elected 65 members of the Legislative Assembly. The election was notable for bringing to power the Rhodesian Front, initially under Winston Field, which set the colony on the course for its eventual Unilateral Declaration of Independence. Ahrn Palley was an independent politician in Rhodesia who criticised the Smith administration and the Unilateral Declaration of Independence. Ian Smith described him as "one of the most able politicians this country has produced, and although our political philosophies did not coincide, we always respected one another and maintained friendly relations." General elections were held in Northern Rhodesia on 20 and 21 January 1964. There were two voter rolls for the Legislative Council, a main roll that elected 65 seats, and a reserved roll that elected 10. Africans elected the main roll, whilst Europeans elected the reserve roll. Other ethnicities were allowed to choose which roll to be part of. The United National Independence Party won the elections, taking 55 of the common roll seats. Its leader, Kenneth Kaunda became Prime Minister, leading the country to independence in October that year, at which point he became President. Voter turnout was 94.8% for the main roll and 74.1% for the reserved roll. General elections were held in Northern Rhodesia on 30 October 1962, with by-elections for several seats held on 10 December. Although the United Federal Party won the most seats in the Legislative Council, and Northern Rhodesian African National Congress leader Harry Nkumbula had made a secret electoral pact with the UFP, Nkumbula decided to form a government with the United National Independence Party. General elections were held in Northern Rhodesia on 20 March 1959, although voting did not take place in two constituencies until 9 April. The United Federal Party (UFP) was expected to win the elections, and did so by taking 13 of the 22 elected seats on the Legislative Council. 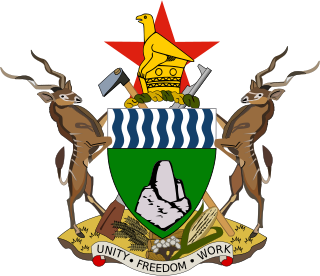 Federal elections were held in the Federation of Rhodesia and Nyasaland on 12 November 1958. The result was a victory for the ruling United Federal Party, with Roy Welensky remaining Prime Minister. The Confederate Party was a political party in the Federation of Rhodesia and Nyasaland. Maureen Thelma Watson was a Rhodesian politician.